If you follow me on Instagram, you'll know that I'm in denial its still winter. I've been scattering floral arrangements around my house, trying to bring a taste of spring to cold, drafty corners. What is it about florals that they can instantly uplift your mood? I look around my house and discover that I have florals in most every room, be it on a pillow cover, on wallpaper or in a vase on my bedside table. They are a necessity for a happy home, both indoors and out. 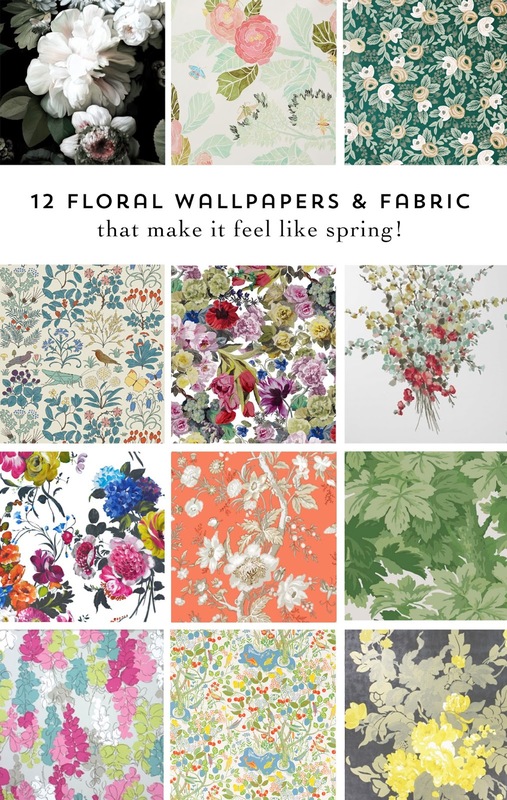 If you're craving a bit of spring, I've rounded up 12 floral wallpapers and fabrics that will have you feeling warm in no time.